A magical academy has been overrun by ghosts and ghouls! A cat named Momo accidentally summoned a spirit, which stole the school’s master spellbook. 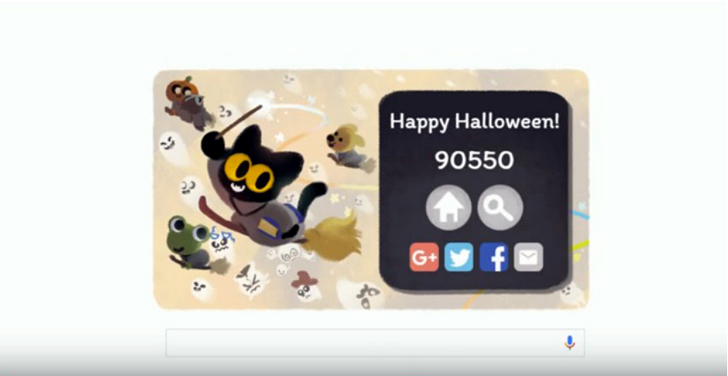 Google’s new doodle gets into the Halloween spirit a bit early this year with a browser game. This is a really clever game. Players disperse the ghosts by drawing the symbol hovering over their heads: A V and inverted V, horizontal and vertical lines, and lightning bolts. Players draw a heart to replenish their lives. [post_ads] The game takes place in five levels: the school’s library, cafeteria, a classroom, the gym, and the roof, each with their own boss. 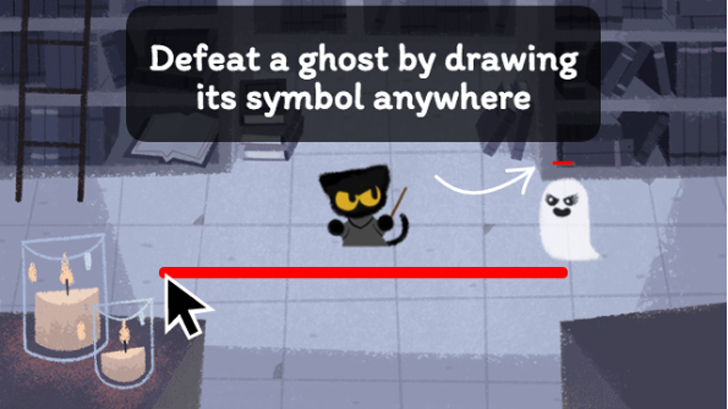 As each level progresses, the ghosts come with even more complicated strings of symbols, which you have to cast in the right order to make them go away. 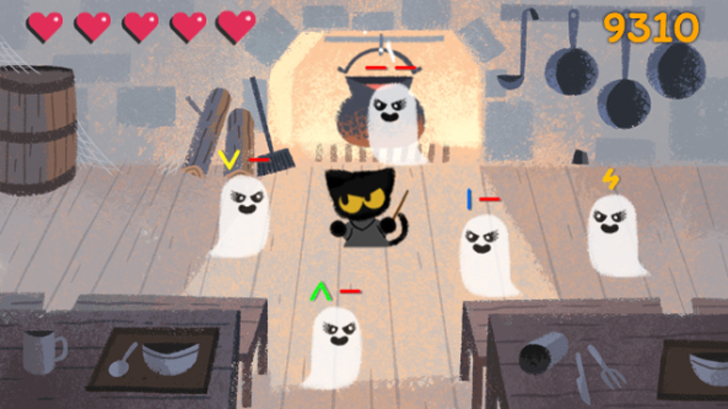 Google outlined the behind-the-scenes process of the game in a post, noting that the game was originally about a cat that made soup, before they shifted the idea to a wizard school. It’s a cute game for a browser, but it also seems as though it could be well suited for other mediums, such as VR.